Pistol Abbey won her M0 at Melton on Saturday night. The 4 year old Western Terror mare was a Sydney APG purchase and has raced on 24 occasions for 10 wins and 8 placings and $106,960. Her win was well deserved . Other recent Lauriston bred winners are ; Be My Baby ; a three year old filly won at her first start full sister to Follow The Stars . Kasbah Kid ( Kabbalah Karen B ) 13 starts for 4 wins and 8 placings this season along with his half brother Our Little General who has won 4 in the USA. The Tiger Army ( Scottish Glamour) 6 starts for 4 wins and 2 placings. Zanadu ( Glenferrie Shuffle ) 7 starts for 4 wins and 1 placing. Tin Roof Raider ( Left In Paris ) 34 starts 9 wins and 12 placings . Metro mare Without You has joined the Broodmare Band . She retires as an M5 with 15 wins and $176,662 . Born To Rocknroll is having a short break. Poster Boy , Rocknroll Icon and Form Analyst have returned to the Emma Stewart stable after their spell/ Water Walker. Hurricane Harley is ready to race in the upcoming weeks. Lauriston Owned winners to date; 34 starters ; 21 wins 5 placings . Includes two Group 1 and one Group 3 victories. POSTER BOY ( Somebeachsomewhere - Aston Villa ( USA) produced an outstanding run to win The Chariots Of Fire at Menangle last weekend. 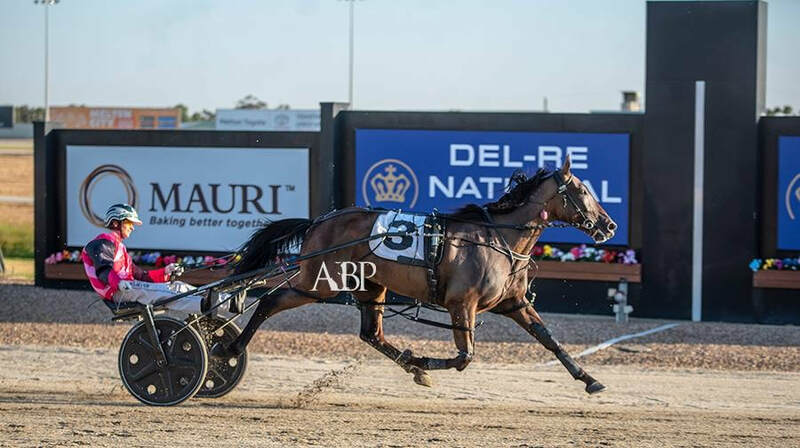 Driven to perfection by Chris Alford the 4 year old came from well back to score and achieved a career best time of 1.49.1 to take his earnings to $671,390 after an impressive 25 starts 18 wins and 6 placings. He certainly is a Superstar. Poster Boy has received an invitation to the Miracle Mile which has been accepted. Aston Villa has a yearling colt by Bettors Delight and a colt at foot by Somebeachwhere. Aston Villa has had 7 live foals for 6 colts and one filly. 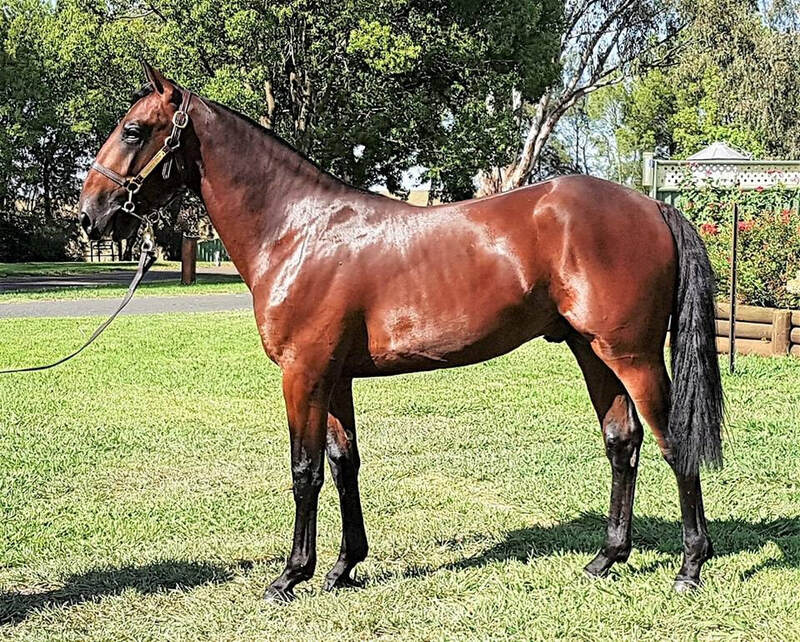 Her only filly ; Yankee Showgirl ( Bettors Delight ) has evened it up a bit with 2 fillies , a yearling by Captain Treacherous and a foal by Somebeachsomewhere. Three year old filly Looking Fabulous had her first start for Emma Stewart at Ballarat on February 19 and was impressive recording an all the way win over 1710 metres in 1.56. By ARocknroll Dance out of National Gallery she is a three quarter sister to Rocknroll Icon :half to Mach Up ( sold to the USA after winning his last 5 starts ) and the promising Honolua Bay. Other recent winners have been Pistol Abbey, Hurricane Harley and Without You. LAURISTON OWNED WINNERS THIS SEASON November 18 2018 - FEBRUARY 19 2019. 26 STARTERS ; 18 WINNERS 2 PLACINGS . 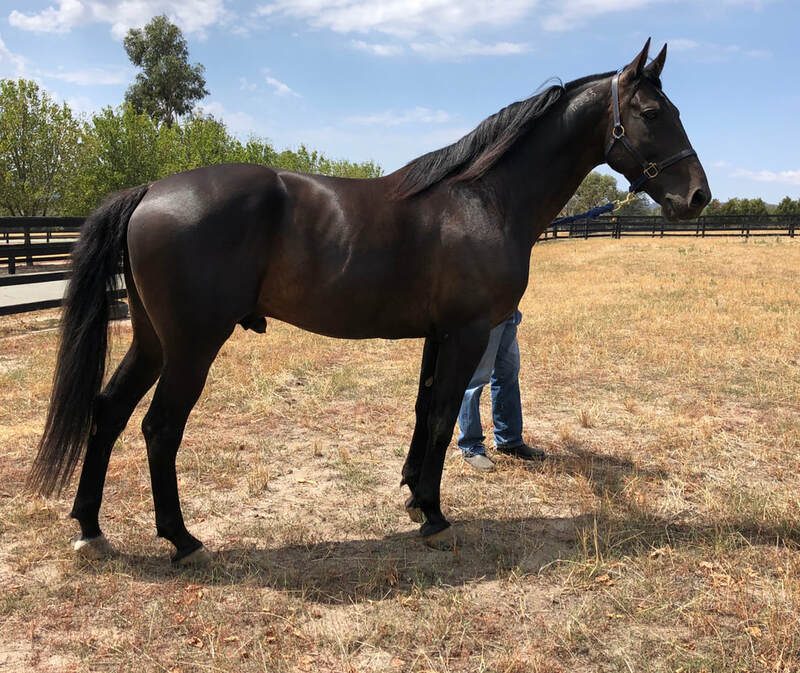 Yankee Rockstar has returned to Lauriston after completing this season at Stud at Northern Rivers Equine at Kyabram Victoria. The son of Rocknroll Hanover -Aston Villa USA served 50 mares with an excellent fertility rate . While he has been busy at stud his two siblings Born To Rocknroll and Poster Boy have been tearing up the track. 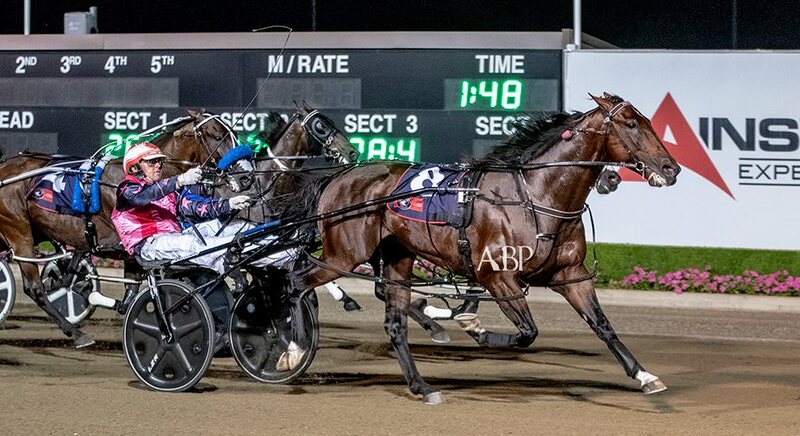 Born To Rocknroll added another Title to his name at Tabcorp Park Melton on Saturday night ; "A Rising Star " when he won the Group 3 Final . Since his return to racing after an injury enforced spell Buddy has won all 5 starts. His latest win was emphatic with a margin of 11.2 metres in a time of 1.54 over the 2240m. He is a true racehorse and enjoys his time in the limelight. He has winnings of $241,953 after only 29 starts 15 wins and 10 placings. Trained by Emma Stewart and driven by Sidney Van Den Brande, Buddy is relishing his time back at the track. Parisian Rockstar ( Left In Paris ) made it a Lauriston and A Rocknroll Hanover breeding double. Taking his earnings over $100,000 ( $113,509. ) he is giving his Queensland owners the thrill of a lifetime after winning his last 2 in a row. Well done BJ ! LOT 115 . Captain Treacherous - Scottish Glamour . $36,000 .BUYER JOHN McCARTHY. LOT 128 . A Rocknroll Dance - Someone To Love . $44,000 . BUYER J LAKER. Thank you to the successful Bidders ,we appreciate your faith in our horses. To all who supported us on the day we say thank you and to Jackie Gibson and the team from Success Stud ; a great job as usual , the horses looked fantastic. The Tiger Army ( Sportswriter- Scottish Glamour ) won the final of the time honoured Leeton Breeders Plate ( Group 3 ) in an incident packed race last night. The Tiger Army drew Barrier 9 and began brilliantly but was severly checked heading into the first turn. Driver Laura Crossland was lucky to remain in the sulky. The horse settled towards the rear of the field and was given time to balance up. He made a 3 wide run late, surged to the lead and won by 4.9 metres. He was sold at the 2018 APG Sale. The Tiger Army has a perfect record of 4 starts for 4 wins including a Group3 and has won $29,880. There is an opportunity to purchase his Captain Treacherous half brother at the Melbourne APG Sale on Sunday. LOT 115 . 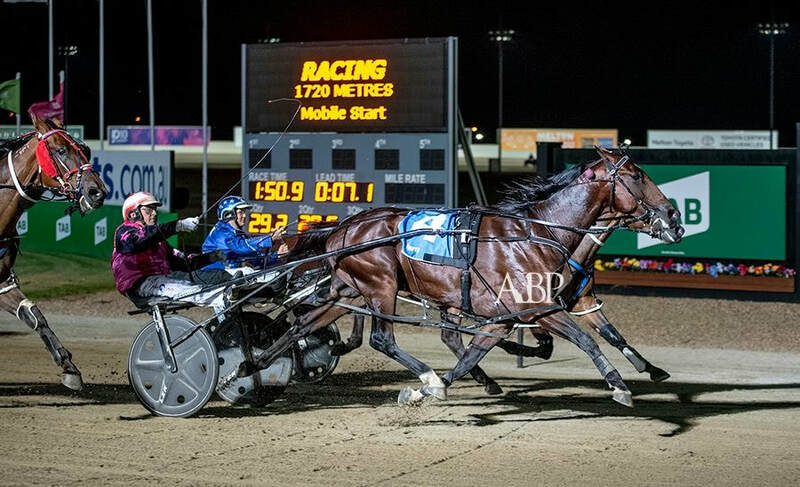 ASTON VILLA The Queen of the Lauriston Broodmare Band had a night to remember at Tabcorp Park Melton on Saturday January 26. Her superstar son Poster Boy won the Group 1 Bonanza in a career best time of 1.52.8. Poster Boy sat in the one/one position and pulled out at the top of the straight to defeat Spankem and Duke Of Wellington. He was first up since August 25 2018 and won the unwinnable Group1 against seasoned opposition. A massive effort by a quality horse trained to perfection by Emma Stewart and Clayton Tonkin and driven a treat by Chris Alford. Poster Boy has earned a place in the Chariots Of Fire at Menangle as a result of this win. His imposing record now stands at 23 starts 16 wins 6 placings and earnings of $539,990. including 4 GROUP 1 Victories. On the same program Born To Rocknroll ( Rocknroll Hanover ) won his heat of the Rising Stars Pace leading all the way in 1.56.8. The 6 year old was a leading juvenile prior to an injury which resulted in extensive rehabilitation and two and a half years away from the track. Now trained by Emma Stewart , Buddy has had 4 starts this season for 4 wins. He has been driven by Sidney Van Den Brande . His career of 28 starts 14 wins and 10 placings and $224,854 is indicative of this horses true ability. Yankee Rockstar ( Rocknroll Hanover ) also won the 4 year old Bonanza enroute to the Chariots of Fire. Aston Villa has a yearling colt by Bettors Delight and a full brother to Poster Boy at foot. COLT . A ROCKNROLL DANCE - SOMEONE TO LOVE. First foal of the Dam . She is a three quarter sister to Our Little General ($522,525 ) 1.52.5. Winner of the Gr1 Victoria Derby , Gr1 2 year old Breeders Crown and Gr1 3 year old Breeders Crown . Yearling enquiries please contact ; Jackie Gibson 0409 844 230. LOT 115 . COLT CAPTAIN TREACHEROUS- SCOTTISH GLAMOUR. Dam of 2 previous foals including the unbeaten 2 year old ; THE TIGER ARMY 3 wins from 3 starts. 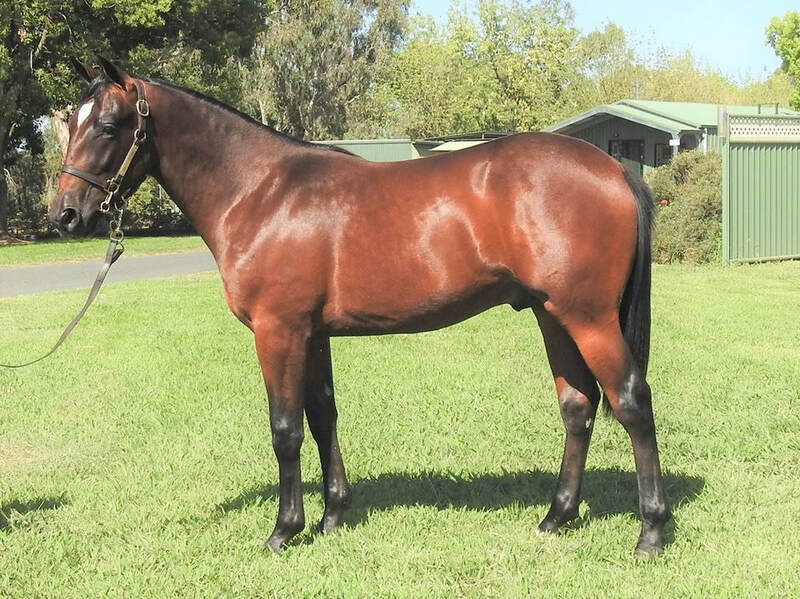 The Tiger Army ( Sportswriter - Scottish Glamour ) was a $16,000 Melbourne APG purchase in 2018. His yearling photo ( for comparison ) is under the 'yearlings ' tab at the top of the page . Yearling enquiries ; Jackie Gibson ; 0409 844 230.